Summer is here and it’s time to get outside. Whatever your activity of choice—hiking, biking, boating or just lounging poolside—sometimes a perfectly-chilled wine is in order. When glass bottles aren’t, reach for a can. 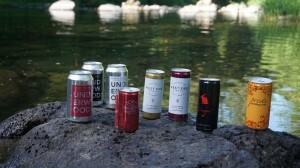 That’s right, several companies are now packaging wines in a can and the contents may surprise you. 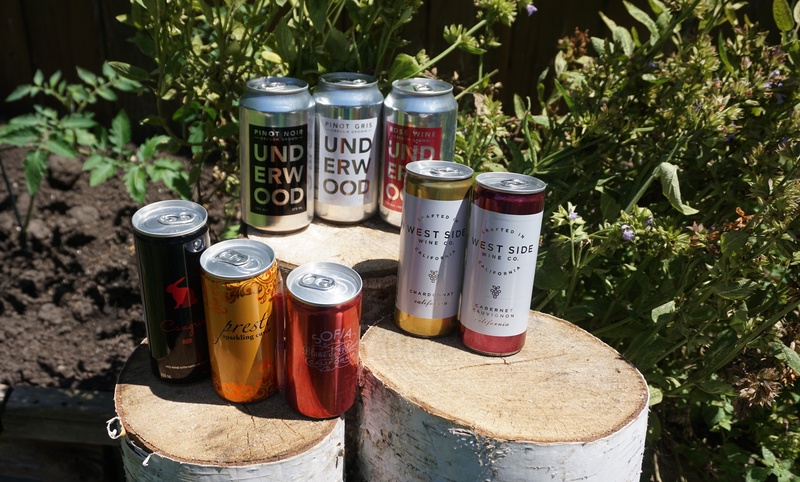 Sold in packs of four, these aluminum beauties are lightweight and perfect for tossing in a backpack, slushing around next to beer and soda in a cooler or sticking in a beach bag at the last minute. Pop the top and you don’t even need glassware or a cork screw! On a recent afternoon, I sacrificially sipped through eight offerings to provide unbiased feedback for my readers. I know what you’re thinking; selfless to the core, that’s me. Two things to note: 1. 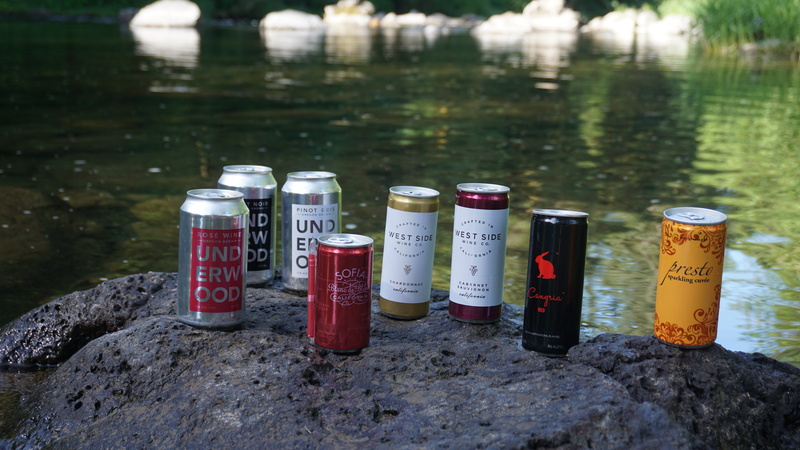 These are wines in a can people. They’re good for what they’re good for. 2. I’m not advocating drinking while operating a motor vehicle. Always drink responsibly. Underwood Pinot Gris – Oregon-grown pinot gris, this was one of my top three favorites. It was crisp and refreshing, with notes of lemongrass and citrus. Underwood packages these same wines for bottle sale. Two-serving, 375 ml size. $5.99/single cans, $28/four pack (equals 2 bottles). Underwood Rosé – Oregon-grown grapes with strawberry and watermelon on the palate. 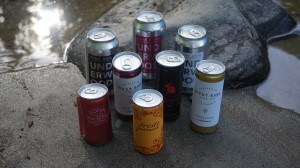 Rosé lovers should enjoy this wine in a can offering. Two-serving, 375 ml size. $5.99/single cans, $28/four pack (equals 2 bottles). Underwood Pinot Noir – Oregon-grown pinot noir in a can. The horror! Sorry to say, folks, this was pretty good. Light, feminine, hints of cherry. The complexity was not there but it had a solid pinot noir foundation. Two-serving, 375 ml size. $5.99/single cans, $28/four pack (equals 2 bottles). All above wines available at Whole Foods Market.